Color Fast RTV Silicone is a one-part moisture curing silicone sealant suitable for a wide range of general sealing and glazing applications. Color Fast Tile & Grout Caulk 10oz. Color Fast Tile & Grout Caulk's 10oz. 100% acrylic formula, is easy to use and comes color and texture matched for that perfect look around tubs, showers, counter top backsplashes, thresholds and many other uses. DAP 4000 Subfloor & Deck Adhesive, 28oz. DAP 4000 Subfloor & Deck Adhesive Tube is a premium grade, weatherproof formulation that meets APA AFG-01, ASTM Specification D 3498 and conforms to HUD UM-60a. 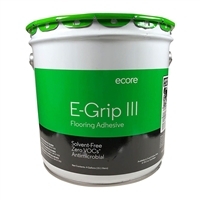 E-Grip III one-component, solvent-free, urethane adhesive is a revolutionary zero-VOC product featuring low odor, excellent trowelability, and improved tack properties for easy application and flat, concealed seams. 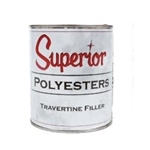 Liquid Nails Poly LN950 10oz. 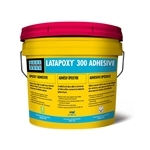 is an all weather formula, polyurethane adhesive. Liquid Nails Tub & Tile Super Caulk 10oz. 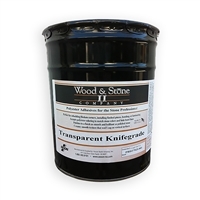 is a siliconized acrylic caulk with silicone added that provides a water and mildew-resistant seal. 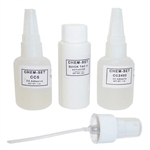 Nashua Spray Adhesive 357 is a fast skin, fast grab, low soak in spray adhesive. Clear Light-Curing Acrylic (LCA) suitable for granite, marble and other natural stones. 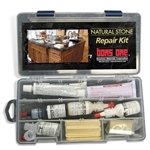 ProCaliber Granite & Marble Repair Kit is a clear Light-Curing Acrylic (LCA) suitable for granite, marble and other natural stones. 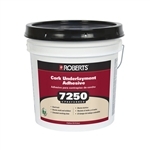 Roberts 7250 Cork Adhesive is designed to adhere unfinished cork underlayment to plywood of underlayment quality and concrete above, on or below grade. This latex-based cork adhesive provides a strong initial grab and good tack.